Few heirs to the throne have suffered as much humiliation as Prince Charles. Despite his hard work and genuine concern for the disadvantaged, he has struggled to overcome his unpopularity. After Diana's death, his approval rating crashed to 4% and has been only rescued by his marriage to Camilla. Nevertheless, just one third of Britons now support him to be the next king. Many still fear that his accession to the throne will cause a constitutional crisis. That mistrust climaxed in the aftermath of the trial of Paul Burrell, Diana's butler, acquitted after the Queen's sensational ‘recollection'. 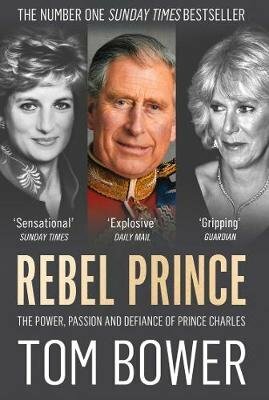 In unearthing many secrets surrounding that and many other dramas, Bower's book, relying on the testimony from over 120 people employed or welcomed into the inner sanctum of Clarence House, reveals a royal household rife with intrigue and misconduct. The result is a book which uniquely will probe into the character and court of the Charles that no one, until now, has seen.